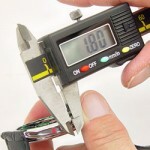 After you have removed your old watch crown and measured it to be sure you found the perfect size replacement crown, you are ready to replace it and attach the new crown to your watch case. Use this guide to learn just what you need to do to replace your watch crown. Be aware, changing a watch crown involves a lot of precision: the new crown must fit the watch case and fit the watch stem perfectly to avoid getting broken or allowing dust and debris into your watch case. If at any point you are concerned that this repair is more than you are comfortable dealing with please take your watch to a professional. 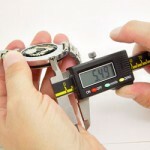 NOTE: This guide will not help you fit screw down or threaded watch crown to your watch stem or case. 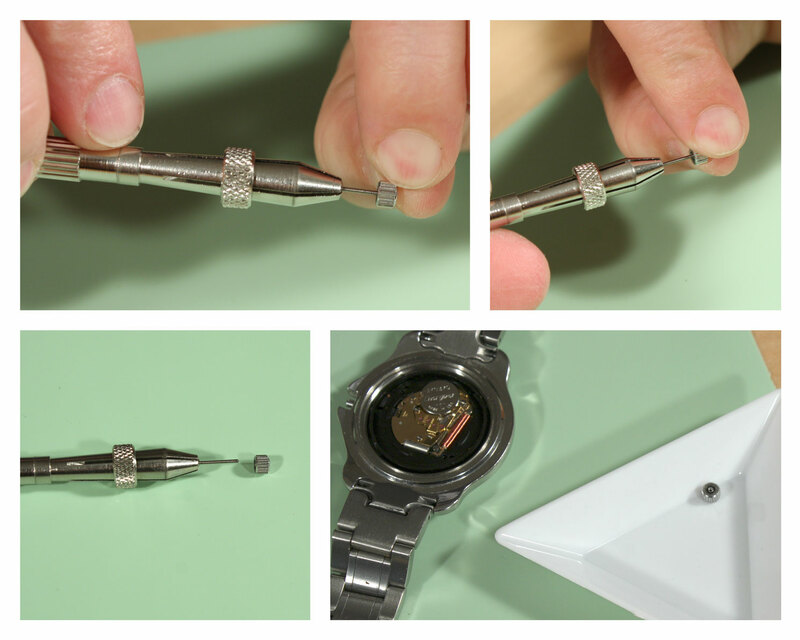 The first thing you need to do once you have your new watch crown and you are ready to attach it to your watch case is fit it to the watch stem and ensure that the crown, stem and watch case will all fit together seamlessly. 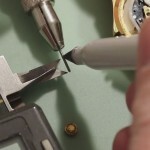 If you are replacing the watch stem as well, use this link to help you. 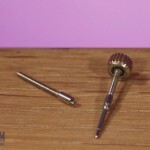 If you are using the existing watch stem, start by fitting your watch stem into your pin vise. Open the pin vise jaws wide and then close them around the movement end of the watch stem so that half of the threaded portion of the stem is still sticking out of the vise. Take your watch crown and thread it onto the end of the stem, turning it clockwise. 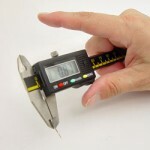 You should be able to easily turn it into place if it is the right size. Once you are sure the crown fits your stem and is threaded all the way into place, remove it from the pin vise by loosening the jaws so they are no longer clamped down on the stem. 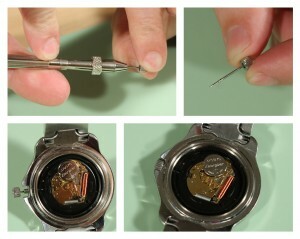 Then, take your stem and crown and fit them into the watch case and into the movement. Make sure that the movement and the movement ring in the watch case are lined up with the hole for the watch stem and slide the watch stem into place. Push it in as far as it will go. 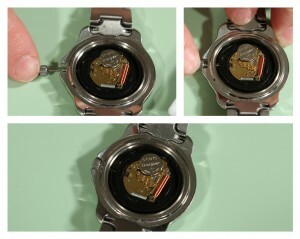 Remove the watch stem from the movement once you know if it will fit the watch or not with the new crown. When you have a stem that fits that watch case with the crown, replace it in the pin vise like you did before so that about half of the threaded portion is sticking out of the vise. Once the stem is back in the vise, remove the watch crown from the watch stem by turning it counter-clockwise and set it aside in your parts tray to keep it safe. 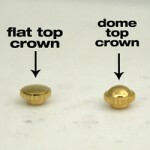 Now you are ready to permanently attach the watch crown to the watch stem. 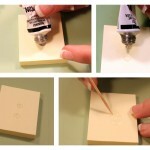 Take your notepad paper and your two part epoxy and place two equal parts of each component of the epoxy on the paper. Be sure the two dots are close enough to each other that you can judge that they are the same size, but not touching. Then, use your pegwood or toothpick and mix the two parts of the epoxy together. Mix the epoxy thoroughly for about thirty seconds to ensure an even mixture. Once the epoxy has been mixed, take your stem in the pin vise and dip the tip into the epoxy. You’ll only want to cover a few threads with the epoxy, just the ones that will be covered by the watch crown. Be sure to spin the stem in the glue to cover the whole tip evenly. Then, thread your watch crown onto the epoxy covered tip of the stem, turning it clockwise until you cannot turn it any more. The epoxy with create a secure and tight seal between the watch stem and crown to keep dust and other debris out of your watch case. Let the stem and crown sit for about five minutes to allow the epoxy to set up. 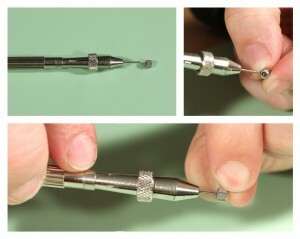 After the epoxy has set, you can remove the watch stem and crown from the pin vise for the last time. Take your watch case and be sure that the holes in the movement and movement ring are still aligned with the hole for the stem and watch crown. Insert the stem into the hole in the watch case and into movement. 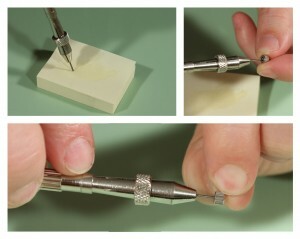 Gently, but firmly, push the stem the rest of the way into the movement until the crown is flush with the watch case. If the stem is held in place with a small screw, be sure to tighten that screw back into place at this point. Give a full gentle tugs on the watch crown to be sure that the stem doesn’t come back out of the movement on its own. When you are sure that the watch stem and crown are both secure in the watch movement, you can close your watch case and begin wearing your watch again with the pride that comes with knowing you fixed it yourself. 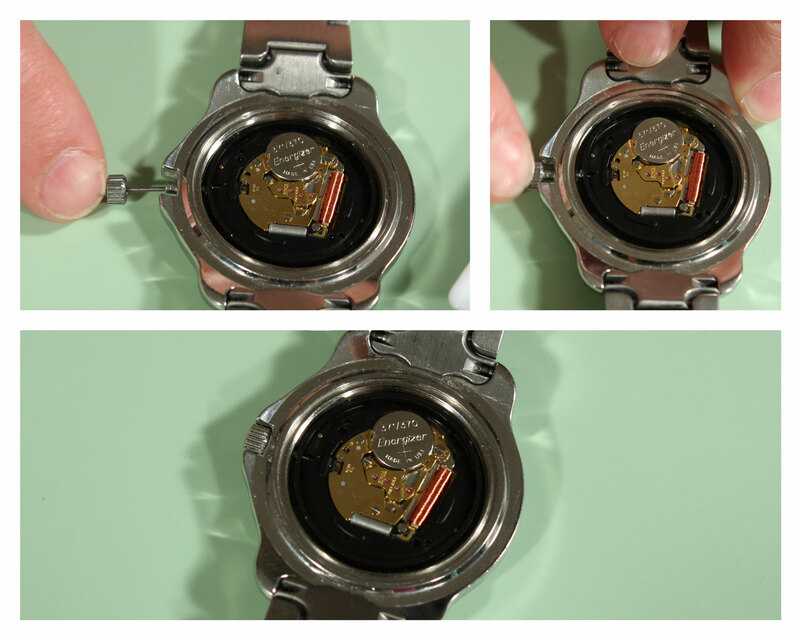 For more helpful watch repair videos, check out our Learning Center today!